Campingplass Reine Mathilde er en campingplass i Étréham, Calvados. Denne campingplassen har steder med avgrensning, med skygge, uten skygge og plasser med noe skygge. Det er mulig å leie telt, stasjonære campingvogner og vandrerhytter. Campingplassen har idrettsplass. Denne inspektøren besøker hvert år Campingplass Reine Mathilde og inspiserer campingplassen for ca. 200 fasiliteter og for andre punkt som forekommer. Inspektøren er en medarbeider fra ACSI og arbeider ikke for campingplassen. We stayed at this site for three nights during our trip through Brittany and Normandy. It was a good site with very friendly staff. Nothing was too much trouble. The access to the site is down a narrow country lane but only a couple of Ks so not too bad. Generally the lane was not too busy, however we arrived about lunch time and everyone in France seemed to be on the road! However the site itself was very clean and tidy, good showers. The staff could speak English, in fact as we checked out it was an English lady who served us. There were a number of places to visit close by, it was convenient for both the coast line and for a trip into Bayeux. This site has changed hands and boy can you tell. The site is run down, trees, hedges and grass uncut. Toilets only cleaned with a hose, so grime is left in places, and used toiletry containers on the floor etc. The shower room has an all pervading smell of sewers or blocked drains. Teenagers are allowed to stay unsupervised in the permanent static vans and are allowed to run around the site late into the night screaming and shouting. The owners seem unwilling or are afraid of tackling them, maybe because their parents own the vans. What a shame as it was a very nice site. A warm welcome on arrival we are allowed to find which pitch we would like, tried the swimming pool twice, very clean well looked after. We stayed from 4th sept to 11th and enjoyed every moment. The facilities clean and maintenance first class, the owners stated they have lots of up-grades to do in the winter time. Roads coming to this site may look small but we found no problems with our large motorhome getting to and from this campsite. This campsite was ideally placed to see all the best parts in this area. Very well run site. Owners very pleasant and efficient and take a personal interest in every detail. Pitches very spacious and private. Clean, quiet and very well positioned in the Normandy countryside. We have stayed here many times, the site is very pleasant with a good mixture of nationalities, close proximity to the D-Day landing beaches and museums. Close to Bayeux with an excellent "Veterinaire". Local lanes can be used for dog walking and there is also a "green lane" just up from the site but it can be a little muddy after rain. Nearest beach is just 4k Omaha which is also dog friendly. Good restaurant at the beach. From June the site offer hot roast chickens to order in the evening. Recent total refurbishment to office, bar/café. A lovely tranquil site out in the country but very convenient for the D Day beaches and Bayeux. Beautiful, large, hedged pitches, immaculate facilities. Not very busy in mid September. A very well run, clean and friendly site. Fresh bread was available every morning, when ordered the previous evening. The pitches were well spaced out, large and private. It was very central for all the Normandy beaches. We went in July so paid full price but were very satisfied and would return hopefully to take advantage of ACSI. A gem of a site! Quiet, peaceful situation in the middle of the countryside yet within easy drive of Omaha Beach and Bayeux. Buildings comprise an old farmhouse and barn. Really felt were in Normandy here! Pitches reasonably sized but only electricity provided. To service motorhome had to access service point which was difficult to find (no signage) behind the barn and accessed from off the site. Despite this it was the best site we visited in Normandy because of its tranquil atmosphere. Vil du booke Campingplass Reine Mathilde eller få mer informasjon? Det går bra med opplysningene nedenfor. 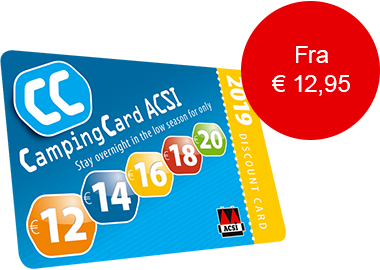 ACSI Eurocampings sender din forespørsel til "Campingplass Reine Mathilde".